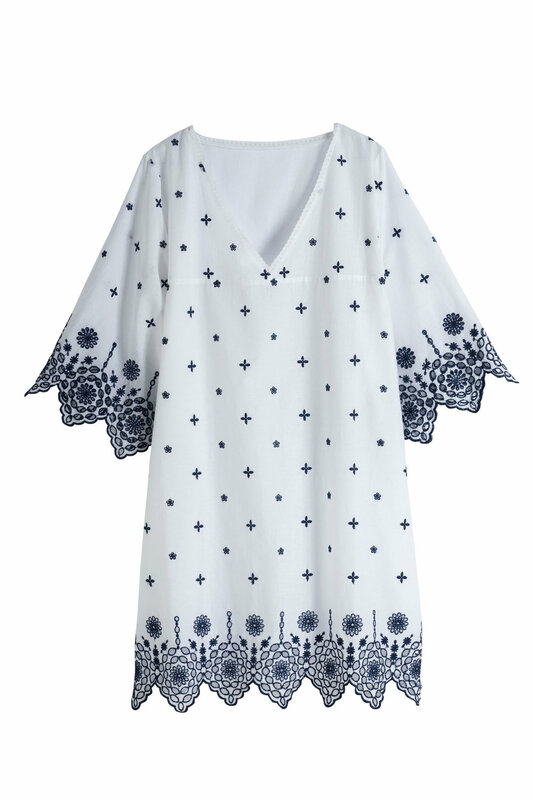 Feel confident at the beach this season in the stunning Sara Kaftan, the perfect cover up on those soaring summer days. A light fabric and loose fit ensures a comfortable and flattering fit, a must when buying beachwear. We'll be layering this kaftan over the quayside Secret Support Bodice Swimsuit in spot print and finishing the look off with sandals and a sun hat – pool side perfection!